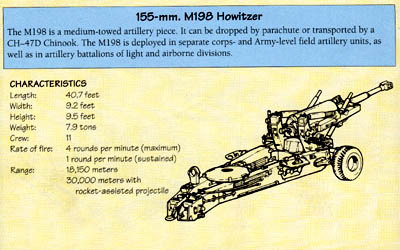 The M198 is a medium-towed artillery piece. It can be dropped by parachute or transported by a CH-470 Chinook. The M198 is deployed in separate corps- and Army-level field artillery units, as well as in artillery battalions of light and airborne divisions.